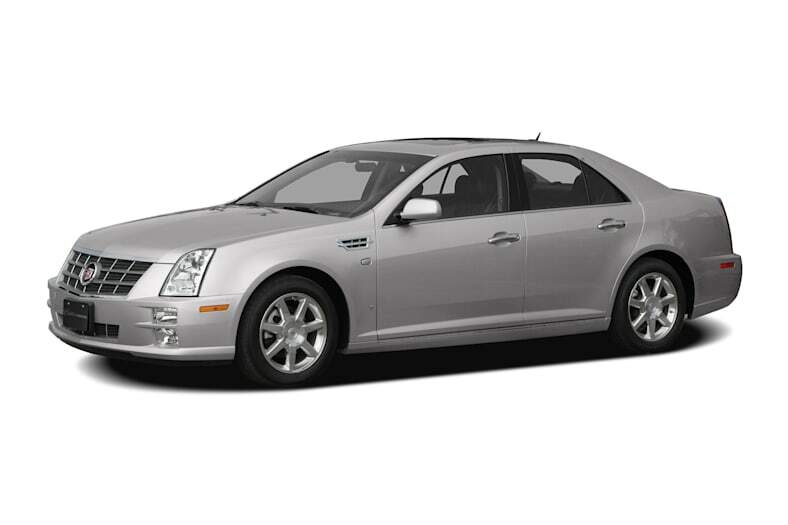 For 2008, Cadillac STS gets more horsepower, more electronic features, and bolder styling inside and out. The STS has been given a substantial facelift for 2008. It's the most significant change in appearance since the STS was introduced as an all-new model for 2005. For 2008, a new V6 engine comes standard, a 3.6-liter direct-injection V6 developing 302 horsepower. The six-speed automatic transmission introduced on V8 models last year now comes with the V6 as well. Also available is one of GM's most sophisticated V8 engines, boasting the latest in computerized management and variable valve timing. The result is smooth, efficient power. For even more potent grand touring, the super-performance STS-V adds supercharged velocity. New safety technologies for 2008 include Cadillac's latest Lane Departure Warning and Blind Zone Alert systems, plus a more sophisticated StabiliTrak electronic stability control system that uses steering as well as brake and throttle control to avoid dangerous skids. The interior of the STS is superb, with comfortable but supportive seats that are infinitely adjustable, ample storage space, and superior sound systems. State-of-the-art occupant safety comes standard as well. Entertainment systems include 15-speaker surround-sound. The STS is unmistakably a Cadillac, but it's also a four-door performance sedan for people who like to drive. The STS offers a choice of suspensions, from the standard setup designed for smooth, comfortable commuting to an active performance suspension that instantly adjusts to any driving situation, whether cruising through a sea of potholes or accelerating around a sweeping turn. Rear-wheel drive provides the balance and control that serious enthusiasts demand. All-wheel drive is also available, for handling stability in inclement weather.